Thierry Frémaux, the director of the Cannes Film Festival, will be in town on Monday January 16, 2017 for a double event. He will be presenting his new book on the festival, called Sélection Officielle (published by Grasset), and a film called Lumière. “Sélection officielle” is a diary, from the closing night of the 2015 festival to the closing night of the 2016 edition. For the first time, a major festival director details the blood, sweat and tears that goes into running the world’s most important film festival, as well as the Institut Lumière. 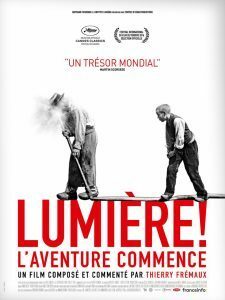 Coincidentally or not, Lumière is the name of the documentary directed and narrated by Frémaux. It looks at the work of the Lumière brothers, who invented so much of early cinema, from the actual technology to the first travelling shots. As Cannes is celebrating the 70the anniversary of its festival, a number of events have been organised. – 16 h: Masterclass of Thierry Frémaux, director of the Cannes Festival. 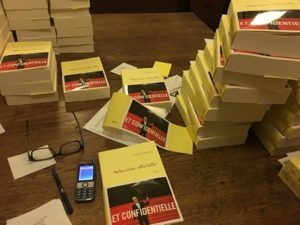 -18 h: Signature of Sélection officielle (Grasset), Thierry Frémaux’s new book. -19 h: projection of Lumière, a film composed and commented by Frémaux, in the presence of the director. For invitations, visit Cannes Cinema.